Really appreciated working with Megan, she was very proactive at showing me a flat which was she guessed would be perfect for me after having viewed another one beforehand. What is incredible is that I had not been very specific about what I wanted, so her intuition was really spot on. All the interaction afterwards was very smooth and she was clear, flexible and helpful in negotiating the extension of certain deadlines. Overall felt very safe dealing with her, professional throughout and would definitely recommend Circa to friends based on my excellent interaction with her. Update: Our first year anniversary in the flat is almost here and working with Circa London as a property manager has been amazing. If anything comes up that needs to be sorted, a quick email to Katie Hicks is all it takes. She always responds quickly, happily and with a solution. First rate! This is a boutique firm that offers highly personalized and thoughtful service. We worked with Megan on the letting of our flat and found her to be professional, competent, knowledgeable and responsive throughout the process. Circa also manages our flat and while we haven't had to deal with any major issues, the interactions we've had with the property management team to get settled have been very positive. I feel like we are in good hands. Great management. Friendly and helpful staff. I would recommend Circa for anyone who is looking for a place to rent or to buy !! Finding an agent for properties are hard until we met ANTONY BOTHA. First impression was really nice. He's friendly, dress really nicely, you could get a glimpse that he's really cool guy to deal with. Regardless of our offer, he would go more than a mile of our expectation to negotiate the best deal on our behalf. Megan was a great help in helping us to find our perfect rental property. We were quite specific on what we wanted and took our time committing to the right place. However, Megan was available to discuss new options throughout and kept us in mind when properties came on the market. We’re very pleased with the flat we found and would recommend Circa for its professionalism and also the quality of their properties. Thanks, Megan! Great service! Maddie was incredibly helpful and responsive. Thank you so much. On May 2016 I entered Circa London looking to rent a place, with the amazing help of Robby 2 days later, we were paying the deposit for our new home. Since then, all the issues and problems were handled in the most smooth way by Kasia, she was always there to help us and guide us in the relationship with the landlords. Later, in mid-2018, we decided to buy a house, so a new tenant was needed to replace us (since our contract was still on), and again Circa London team didn’t stop until they found a new tenant. My two and a half year experience with them was great and I will recommend working with them, either as a tenant or a landlord. More than extremely professional, they also are very friendly and always a pleasure to work with. Really great service, special thanks to Maddie for all the work. This is my first rental as a tenant and Circa London have provided the property management that I would always wish to offer my tenants. My two years in a top end apartment in London have been very easy going thanks to Katie, who is attentive and responsive. The whole experience has been great. Robbie Ellis showed me the perfect apartment within 30 minutes of entering the office without an appointment, and guided me through the various bits of paperwork which I always dislike. Kasia and later Katie have been very responsive to all my questions and issues and I particularly liked the way they would always update me on the progress of any request. They are helpful, polite and always ready to respond. I highly recommend Circa London. Antony at Circa London really helped make our move from Oslo to London smooth. We found him helpful, friendly, efficient and with a sense of humour. We highly recommend Circa London. Great experience with Maddie from Circa London, very efficient process and thoroughly helpful and professional. Would recommend! Thank you very much Kasia for your help throughout my tenancy. It was truly a wonderful experience. I have now completed my tenancy in London and thought it would be appropriate to update my review. Thanks to Kasia Mielcarz and her outstanding care, my entire tenancy was nothing short of a 5 star experience. Every time I needed any support throughout my tenancy, I was never let down. The checkout process and deposit refund was quick and fair as well. Absolutely zero hassle from start to end. Antony Botha was very helpful and supportive. Thank you for the professionalism and ability to help me find exactly the flat I needed. I strongly recommend him and the agency services. Best real estate agency in London!!! We're so pleased with our lovely new rented flat, which Thomas brokered on our behalf. Having now come to the end of our tenancy, I can add that the service offered by Circa is better than any I have received elsewhere in London - both professionally and personally, Katie was a pleasure to deal with. Couldn't recommend a better real estate agency in London. Circa has been of the best surprises of the year for us, along with our beautiful new home which we have rented through them. The whole team was very professional and made our negotiation process, which sometimes can be very stressful, a very smooth and easy experience. Maddie and Roby were absolutely amazing so if you are looking for your new place do have a chat with them! Thank you for your hardworking guys, we love our new area and our new home. Maddie from Circa has been an absolute star in helping me get my place ready in no time (3 days from viewing to move in!!). She has been responsive on email and phone throughout the whole process and has done everything in her power to accommodate all my needs. Having dealt with a variety of agents in London previously I definitely found Circa to be the best - very much recommend! Moving from Brighton to London was not easy, I was very lucky to interact with Antony from Circa London property agency. Antony is reliable, highly professional and was very helping in my letting. From coordinating with the Landlord or simply dealing with administrative issues, I can highly recommend him. We have been a client of Circa London for over two years and they let and manage a wide range of properties on our behalf. Strongly recommend to tenants and landlords alike. I don't usually rate property agencies, but Circa has got some folks who actually try to help their tenants. Keep up the good work! I mainly interacted with one of Circa's agents Antony. He was friendly and flexible, and I found my apartment within a few days of moving to London. A very good experience! Thank you so very much for you have not only done an amazingly wonderful and commendable job of securing a good tenant so quickly but secured a good rent and the earlier commencement date as well! Congrats and well done !!!! Have been so impressed with the team at Circa who genuinely do what they say they will do. They found us the ideal tenants to rent the flat and took over the whole process of references and organisation from A to Z and made it very easy for us. Always friendly and efficient and a pleasure to deal with. Maddie from Circa was wonderful and helpful throughout the process - coordinating with the landlord, communicating clearly on key timelines, ensuring logistics of check in/check out/move in went smoothly. Katie who handles the post-move in management has also been great! Highly recommended. Robby and his team were very helping in my letting. They were fast and responsive throughout the entire process. Thank you for always being available and for your professionalism. You are a great real estate agent especially for finding solution to our problems, reassuring us and being honest. Both Patrick and I are very pleased with your team's professional and efficient service over the half year. Since this is our first property in UK, we have no idea on what to do. Thanks Katie for preparing the snagging list. Thanks Maddie for procuring a suitable tenant for us within a short period of time. Especially thanks for Silviya for her quick responses and very detailed explanations on our queries. She is fantastic! We would definitely introduce friends for using Circa if they need to hire a management company for taking care of their properties in UK. It was an absolute pleasure dealing with Megan Gates at Circa. She was professional, courteous and extremely pleasant. She dealt swiftly and efficiently with all our requirements. Based on this experience, I would certainly use Circa again. From the moment I spoke to Antony everything was handled so professionally, from start to finish he understood immediately what we needed and the service was first class. This was especially re-assuring with the sadness of losing my father at the same time. To know the apartment was not only rented through your agency but also managed by your agency was a huge relief. There was always someone there to follow up with and to answer any questions. We cannot recommend the agency highly enough on both professional and personal service levels, it has been a pleasure to work with all of you. What are my impressions of Circa service... They built confidence from the start. Their enthusiasm is matched by delivery. They followed up where other seemed not bothered. The process of letting was efficient. They are a stylish team full of vitality. If I was still in the country, I’d give Robby and Maddie for each a bottle of champagne. It was a pleasure dealing with Megan. She is highly responsive and efficient throughout the process. She understood perfectly what I was looking for. I would highly recommend her. You are the best Kasia. The experience we had in selling a property with CIRCA London was second to none. In a challenging (downward) market Manuela Conti (realtor in charge) was always very effective in finding a prospective buyer and then ensuring that the deal went through. In the beginning, as there were no offers being made, CIRCA even came with the genuine suggestion of letting the place to monetise its potential while a buyer could be found. I'd would strongly recommend CIRCA and its professionals for selling or letting properties. Great service! Maddie our agent was very helpful when it came to finding the right apartment and made the process very easy and always stayed in touch. I would highly recommend using Circa London for finding your future home! It was quite a unique experience to find a property with them. I deal with Antony and he was very supportive and helpful. He got quickly the right property for me and he managed all the technicalities passing to me only the necessary workload. I would surely recommend Antony and Circa London. Antony Botha has helped me a lot with searching, securing and paying for my new rented apartment. He handled of the issues very professionally, as I had a few bank problems that affected the payment dates. He was always very easy to reach via the e-mail and was there to answer any extra questions that I had. I recently bought a flat in a new-built located in SE1. Manuela Conti, from CIRCA, represented the seller. I was very favourably impressed with Ms. Conti's professionalism during the process and would not hesitate to recommend her. I have rented an apartment through Circa London and my experience was fantastic. Megan, especially, was extremely professional and diligent (I was in my new place in a matter of few days). Highly recommended. Very pleased with Megan's services - she was very attentive in figuring out what we were looking for and tailored her suggestions accordingly (instead of bombarding us with every single property that came on to market). She was also engaged and updated us on a constant basis - very happy with the high quality of service! Thanks Megan! Antony is an excellent property consultant. He helps to find and suggest the best solution in order to match tenant ‘s needs. He is able to provide solutions for international clients. A good timing is key for international clients in moving from a country to a location as London for job reasons. Antony is able to see international clients’ needs in terms of facilities, quality of accomodation and high level of services. Circa London, and more specifically, Megan Gates, has provided a very professional and efficient service. I was able to secure a flat in less than a week as Megan immediately understood what I was looking for and sorted out all the details promptly. I strongly recommend their agency. I have been using Circa London as my letting and managing agent for a few years now and I have found them to be reliable and responsive in their services. They provide feedback to me regularly on viewings while marketing my units and provide advice on pricing based on market intelligence. I am particularly pleased with their management services, as they are deal with tenant issues and accounts in a timely and responsible manner. Letting a flat through Circa has been an incredibly positive, swift and pleasant experience and would 100% recommend them. I have been in contact with Megan on the letting of a flat and found her to be knowledgeable, pro-active, helpful and incredibly warm throughout the process. Way better than the competition! The best lettings negotiator. She explained to me everything I needed to know about my letting. She was very helpful and communicating. I have worked with the team at Circa on a number of different residential lettings in the Southwark area and can confirm that I have always found them to be efficient and helpful in all aspects of the process. I have experienced particularly good service from Robby and Kasia who are always customer focused and ensure that the needs of both the landlord and the tenants are met whenever they are managing one of our properties. Well done and thank you to the whole team. One of the best agents we have dealt with (and we have had many!). Extremely professional and bridge the gap between the landlord and tenant seamlessly. Robby has been very approachable from the start and ensured we were settled in our new home well! Defnitely recommend Robby and the firm very highly. From a buyer's perspective I would like to say how brilliantly professional, approachable and helpful Circa were to us throughout the process. Nothing has been too much bother for Manuela from the Circa team and we would like to pass on our appreciation, thank you. I have rented two apartments through Circa London. Robby Ellis was my agent for both searches. I have two dogs, so was expecting the whole process to be a little harder than normal. With Robby this wasn’t the case.As expected, many landlords wouldn’t allow pets, but Robby had already prepared a list of alternatives that did accept pets. Robby doesn’t waste your time showing you unsuitable options. I was looking for a modern and pristine luxury flat, and assumed I was in for a slow and painful search, due to less options being available to me. This wasn’t the case at all. Robby made the process so easy, he’s a master communicator and negotiator. He found me wonderful homes - twice! Robby updates you regularly, so you’re never left in the lurch. Both searches took only a matter of days from start to finish. Robby made both flat searches quick, easy and seamless. I’ll always recommend him and the team at Circa London to anyone looking for a place to live. Outside of the flat searches, Robby also helped me on other matters too. I needed help with paperwork relating to my tenancy, to supply to the British Government as part of a visa sponsorship. There were many different things required (specific wording etc) which made the task quite tedious, but Robby was so helpful and patient, even though he didn’t need to be - as technically his work was done once he had found me the flat. His help was a godsend and much appreciated. A great agent and a great person. I won’t use anyone else! Being an SE1 landlord there is a huge selection of estate agents available, Circa stood out for me with their high level of customer service. Robby Ellis, having found me an excellent tenant continued to be on call throughout the tenancy with any questions I have had. I would highly recommend them. I sold my flat with Circa and Manuela handled all aspects of the sale. She was great! Straightforward and great in communication which I really appreciated. I'd use Circa again, much recommended. As a first time buyer it made a real difference to deal with such a communicative and professional team. Queries were always acknowledged promptly and I was typically provided a response on the same day! A pleasure. Experience with Circa London was very pleasant. The agent was always available, very proactive, and willing to go the extra mile to satisfy all parties fairly. "Very professional staff. I have been renting flat with them for 1 year and I am satisfied with their service. And I just renewed another 1.5 year contract with them". "I found the service from Circa London to be extremely friendly, efficient and reliable, they found me an excellent tenant extremely quickly and I am very pleased with the way they handled the transaction from start to finish". "I contacted Circa Agency to visit some Apartment in a brand new real estate project in the heart of Mayfair. I was contacted by Robby Ellis who started to show, more than once, several apartments to my wife. She chose one of these apartments and I started to deal with Robby for the draft of the Tenancy Agreement. We had to review few articles and Robby was very patient and always found a solution to modify articles as I wished. I was very happy to deal with him and I would suggest his Agency to anyone needs a professional help in this field". "We worked with Robby to rent our new place in W1S. He was very professional and went above and beyond to meet our requests. Not sure if all of Circa's listings offer this but ours was taken off the market while we negotiated terms with the landlord and saved us a bidding war. Highly recommend Circa London". "I started using Circa's service as they were located in the same building as one of my properties. The experience with the team from the sales, management and handling team had been so positive that I decided to use Circa also for another area further away, and they have done very well too. Although they are growing and new staff are added, the hand over is smooth and new staff seems well briefed to take over responsibilities in the management of the rental properties". "Thomas and Megan were great to work with. They are both professional and quick to respond to all my inquiries. Working with both of them made the move really easy and fast! I was in my flat within 4 days. Highly recommend working with them!" "The experience with you and your company has been exceptional, thank you". "Thomas and Circa have truly earned every star and more. Highly professional, straight forward, friendly and quick! My family and I were in our new perfect home in a matter of a few days. It was a pleasure and hassle free from beginning to end. Thanks a lot for a wonderful experience!" "We chose Circa over some of the larger well-established firms and they didn't disappoint. They have let our property extremely quickly on very good terms and throughout the process were brilliant with their communication and processes. As a client, I feel the attention that I received and Circa's pro-activeness have been far greater than would have been the case with some of the 'bigger' names. Furthermore the process from first contact to securing a tenant and then transition into management has been seamless and thorough." "Our experience with Circa was fantastic, and the best I've had in London. In particular, their team member Thomas Jeeves was superb. Out of all the agents we spoke to, he was the only one who pro-actively searched for a property that suited our needs, which he made the effort to understand more clearly each time he met us. Unlike the others, he was engaged and cared". "Professional and wonderful service, especially Mr Robby Ellis who really goes the extra mile for his clients. Robby is very friendly, knowledgeable, diligent, a good communicator and problem solver. Highly recommended". "We could not have had a better experience than the one we had with Thomas in Circa. After spending weeks in a hotel searching for a flat, Thomas found us and got us in our perfect home in 3 days! Five star service from A to Z. Highly recommended". "Megan was very helpful throughout the whole process even though I had to move in in such a short notice. She went through all the trouble to help speeding up the process for me. This was my first time renting a private accommodation, and she provided me with a very clear guidance which makes everything simple and easy to follow. I'm very grateful for her help." "I first met Thomas with a challenging request, he took the opportunity to display his professionalism and passion for the task. Thomas delivered options 'on point', responded to queries promptly and secured an apartment fitting the requirements within a challenging timescale. I would recommend Thomas in a heartbeat." "Professional and wonderful service, especially Mr Robby Ellis who really goes the extra mile for his clients. Robby is very friendly, knowledgeable, diligent, a good communicator and problem solver. Highly recommended." "I just wanted to thank you for taking care of the property. I do realise that I am extremely lucky with my tenant and I am very happy that I am able to secure such a letting in the current market situation. I must thank you and the team at Circa for all the efforts you have made - very much appreciated." "Very professional service by Thomas. Exactly what you want when renting a property. Thomas made it as hassle free as possible." "Thomas is a very professional, responsive and dedicated agent - will definitely contact him again." "It is my pleasure to recommend Circa to you, and Circa has been managing my property for two years, most of the time they perform profession and efficient with my full satisfaction." "We could not have had a better experience than the one we had with Thomas in Circa. After spending weeks in a hotel searching for a flat, Thomas found us and got us in our perfect home in 3 days! Five star service from A to Z. Highly recommended!" "Robbie from Circa was very helpful in our flat search. In a week, we managed to visit our new flat, get the contract signed and move in to our new home. I would strongly recommend and trust Circa in your future flat search." "Robby was able to find us our dream flat in SE1. He understood the needs of our growing family and helped us through every step of the way securing it. He essentially made the perfect flat appear out of nowhere by working his magic! We would recommend Robbie and Circa to anyone else looking for their next home." "I wanted to thank you and the entire Circa team for the excellent experience I had with the team and the company while I was tenant at NEO Bankside." "Circa have truly earned every star and more - highly professional, straightforward, friendly and quick! My family and I were in our new perfect home in a matter of a few days. It was a pleasure and hassle free from beginning to end. Thanks a lot for a wonderful experience!" "Circa were incredibly professional and understanding of my needs as a landlord. They let the property out in under a week. Excellent communication and a very friendly team." "Circa is perfectly located within the premises of Neo Bankside in Southwark, London. This contributes to the efficiency of the staff carrying out service at Neo Bankside. Circa was able to identify a new tenant for me in no time (glad they work on Saturdays which I do not expect) and the staff provided me with alternative ideas and options to improve the condition of the flat. The ability to suggest different suppliers for services adds value. The handover was carried out efficiently and monthly reports and payments were received on time. For an overseas landlord, Circa fulfilled all my requirements! Thank you!" "As a property buying agent, it is important for me to be able to count on an estate agent’ integrity and reliability, qualities that can be difficult to find. I found Circa, and in particular Manuela and Robbie to be very professional and helpful, always available to help me and my clients, whether during the negotiation and due diligence phases or even after completion. I look forward to work with them again in the future." "Circa moved quickly to show the best property available on the market, and then to get me in as rapidly as possible. They were uber professional and went above and beyond to help me. As far as I'm concerned they are the best at what they do in their area". "Circa has been very responsive and helpful in trying to manage property in a post Brexit world. They know the Southbank and London property markets well and have been able provide guidance as to possible letting or sales opportunities. In addition to advice, they have demonstrated their care and attention in execution of management services and were even thoughtful to look after the small touches to make sure tenants feel welcome and at home." "Working with Circa London has been an absolute pleasure. They've been very responsive to our questions, and provided excellent customer service." "Robby offered me great and relevant property options based on my specific preferences within a short request timeframe. He is very responsive to my requests but not overly aggressive, with excellent coordination with regard to post sales servicing. I strongly recommend whoever looking for property in London to be in touch with Robby at Circa." "We were delighted with the letting service- all very professional and efficient but at the same time friendly and painless." "We signed on with Circa after nearly a year of being unable to find a tenant for our 4 bed apartment. Within days of being with Circa we had multiple serious visitors and an offer. A quality new tenant was safely installed in the flat within 4 weeks. An excellent outcome way beyond our expectations." "The Circa London team have been absolutely brilliant. Once you register your interest in a place, they don’t bombard you with endless sales calls, they only look into properties that will be of interest to you and to the spec you’ve asked for. Robby Ellis of Circa London has now found me 2 different places to rent (with landlords/leases that accept dogs) which is not an easy task. Each time he has delivered quickly and made things so easy and smooth. A straight talking team, really helpful and they make finding a new home a breeze. 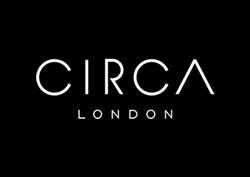 The team at Circa London get you what you want and when you need. No fuss . All in all, perfect. Thanks again Circa London. Robby Ellis – you are a star!" "Circa London are highly skilled professionals, attentive to clients' demands, agile and flexible, and pleasant in communications. After quick negotiations we signed our tenancy agreement and settled in without any delays." "The new house is amazing. Thanks for your great service throughout the move. You were easy to contact at all times and never missed any of my calls whenever I needed to ask a question about the apartment. Thank you for helping me find two amazing apartments that met my needs. I would definitely recommend Circa to family and friends would definitely be using this service again if I were to move in the future!" "We would like to thank you for the excellent service provided by yourself in particular but also some other members of the Team in "Circa". We were particularly impressed by the fact you managed to find professional Tenants in a reasonably short time of our property being on the market while we were not getting any success with other agents, so well done. You acted professionally throughout, you delivered what you promised and your interpersonal skills certainly helped to build a 'good relationship' between 'Agent and Clients'. I would not hesitate to recommend 'Circa' for its brilliant service and customer service as well." "Being a first time landlord, Circa’s team was very communicative with me from the start of the rental process. Their customer service, expertise and professionalism made the renting simple and smooth. They found a suitable tenant quickly and make sure my tenant is happy and satisfied with the property. I would like to thank the whole team for their hard work, advice and dedication." "Very happy with Circa and strongly recommend. Most agents try to sell you whatever they have. Robby showed me two flats based on a first discussion, took the time to listen to what I wanted and then only showed me flats that fit my needs. When one flat fell through, he not only found something else, but made the effort to make sure the move all went well." "Circa London, specifically Robby, took a lot of stress out of our relocation from Edinburgh to London. We had a very tight schedule and limited opportunity for viewings, therefore Robby assisted with virtual tours and quickly provided enough support and information for us to make our decision remotely, which we did and are now really pleased with our rented apartment. We couldn’t have asked for a more responsive and helpful service – thank you." "In my experience, Robby Ellis and Kasia Mielcarz of Circa London provide a professional, responsive and helpful service to tenants." "We are pleased to express our feelings regarding the wonderful customer service that you provided for us. I would love to recommend Circa London agency and especially Robby Ellis for being active, fast and honest. He found the perfect flat for us according to our criteria. We went through two different agency before and the customer service was extremely weak. As soon as we made the offer through Robby, our contract was on the table within the next 48 hours and everything was perfectly organised. Do not hesitate to through Circa London if you are looking for a great customer service. I will highly recommend this agency to everyone." "We found ourselves having to move fairly quickly to get our flat out into the rental market. We decided to search for a local agency as they would probably have more knowledge of the area. Circa was an ideal candidate from the start - being an agency clearly upmarket but very local - they quickly demonstrated flexibility, understanding of the market and having access to the type of customers we'd want as ideal tenants. Just by speaking on the phone with them we were sold and from then, we have met a very professional and warm team who satisfied all our needs in a very short period of time. We have moved out of the house and out of the country knowing that our first ever investment, our first ever home was in good hands."